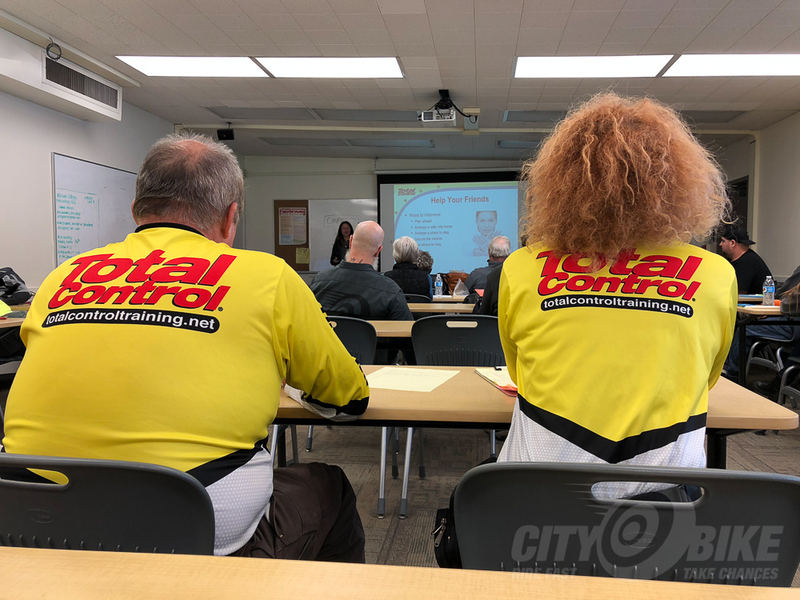 When Bonnie from 2 Wheel Safety Training, purveyors of CMSP and Total Control training around the East and South Bay, invited me to one of their new 3 Wheel Safety Training courses, I resolved to do my best to remove my motorcyclist hat and go into it with an open mind. 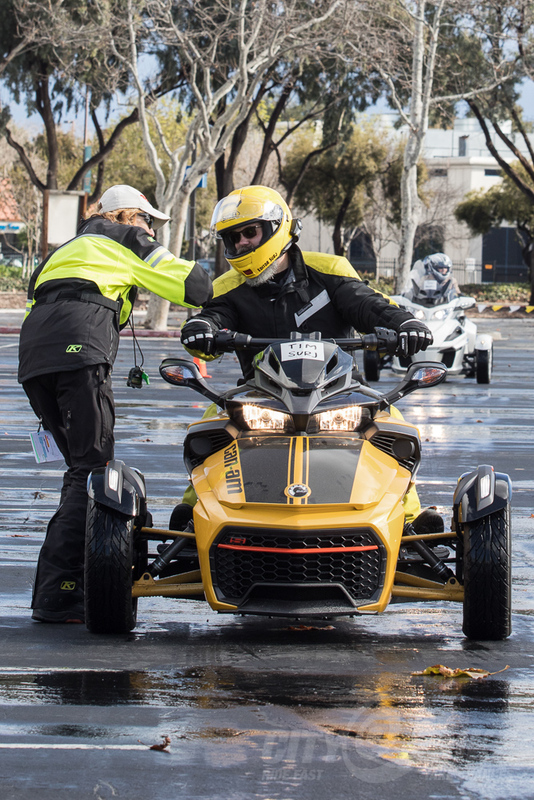 I was going to make a joke about how my “motorcyclist hat” is a helmet, except it wouldn’t work—you still have to wear a motorcyclist hat on the Can-Am Spyders provided for the 3WST courses; in fact, you have to wear full gear, like a motorcyclist. So much for that. 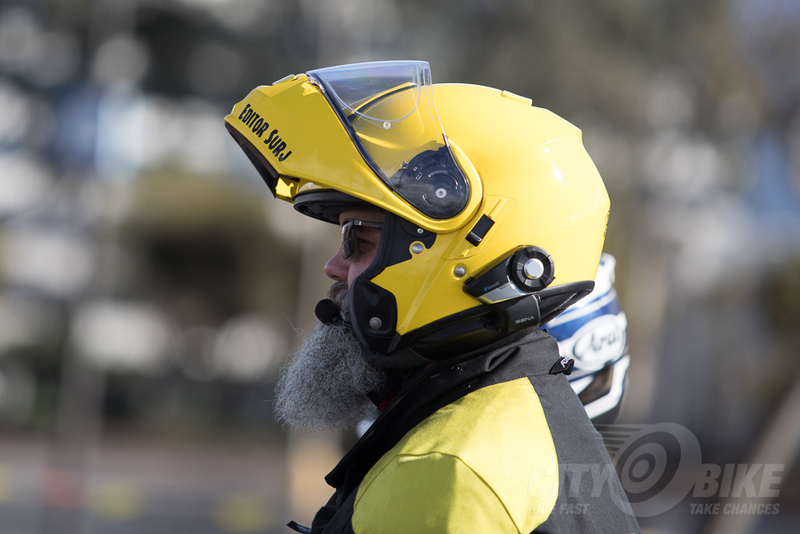 It’s going to be hard to not think like a motorcyclist all geared up in my ‘Stich ‘n’ such. 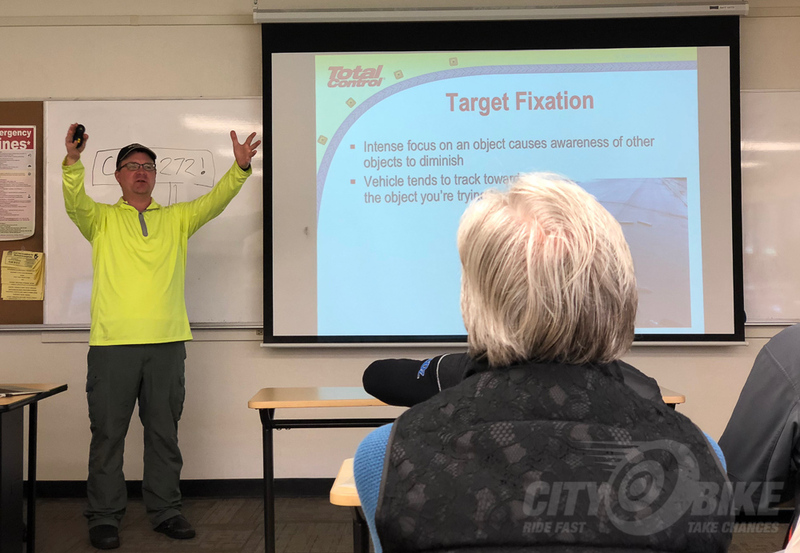 To help me get into the non-motorcyclist mindset for the course, I drove Big Vancy, CityBike’s bike-haulin’ van down to the South Bay for the course. 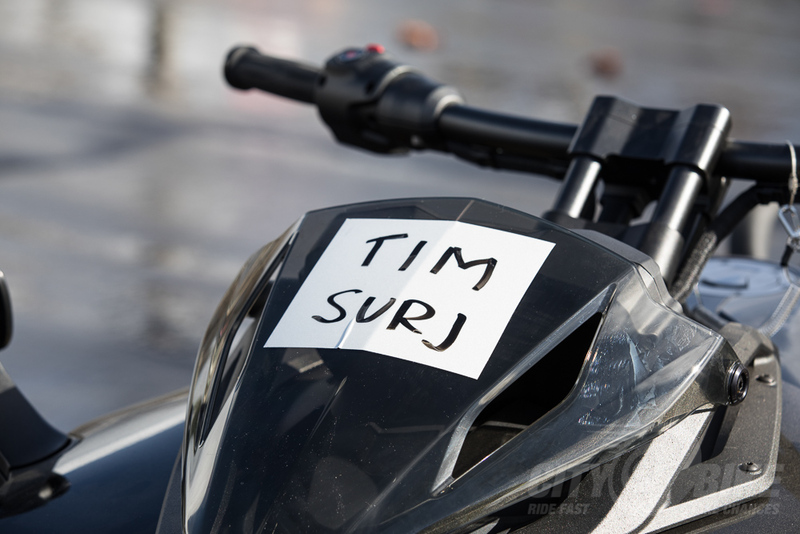 Unfortunately, this only served to make me wish I’d ridden. Commute-time traffic in a single-occupant car is downright stupid, in case you haven’t heard. 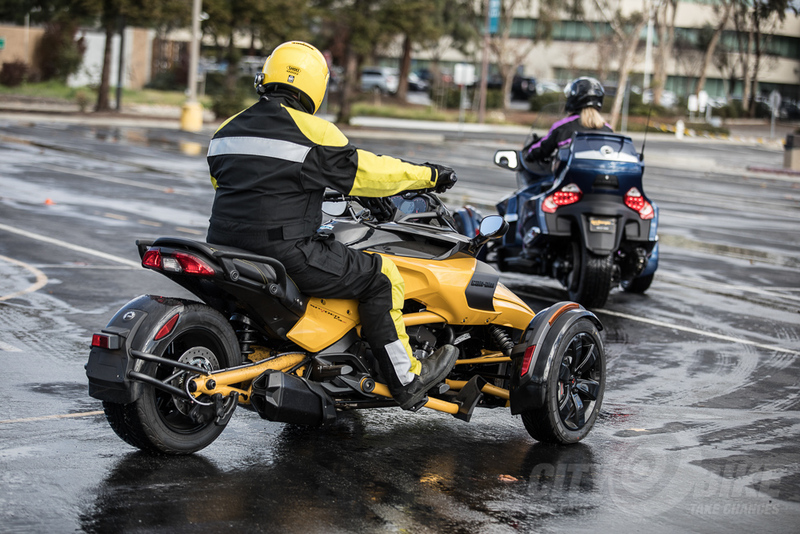 Every time I start contemplating ditching all this Bay Area insanity for a new home in a “free state,” all I have to do is drive somewhere to remind myself that urban life without lane splitting is not worth living. 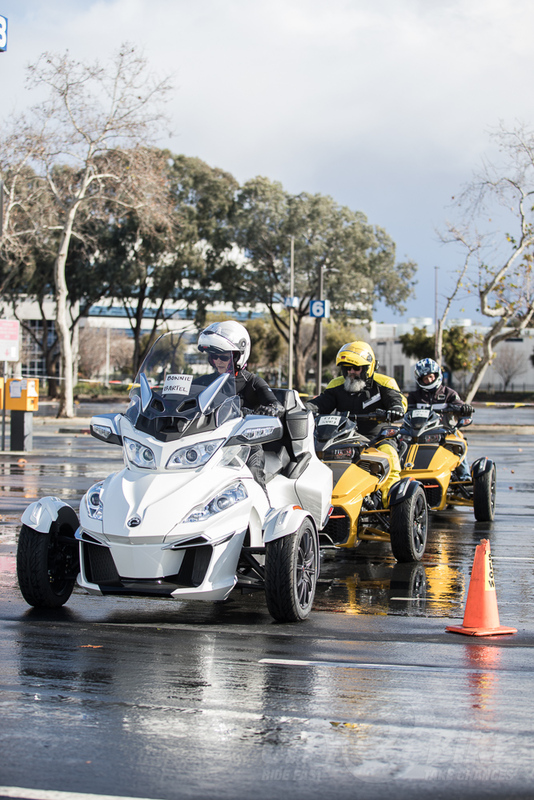 The course I took on a rainy day in late January was something of a test run, and included classroom content for “normal” trikes and sidecar rigs, in addition to reverse trike-specific stuff. Classroom time was extensive, and since the team was still working out some of the specifics, we didn’t get out on to the range until after lunch. 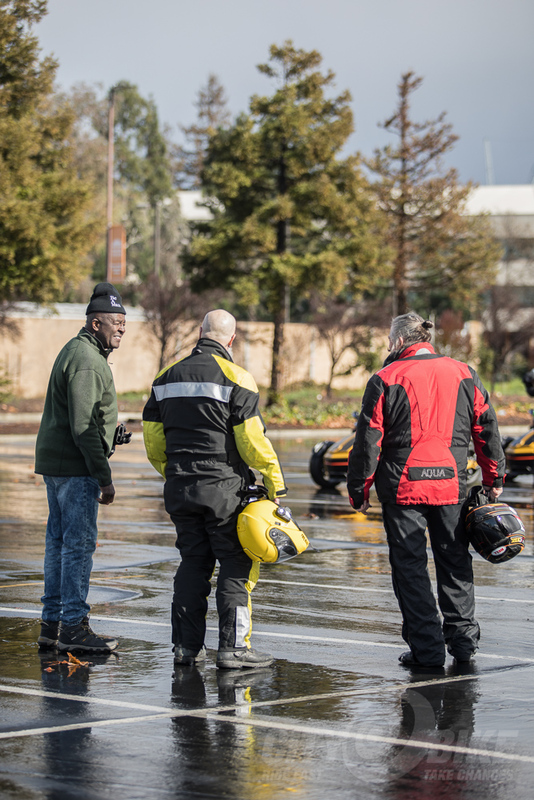 That meant we missed the worst of the rain, but it also meant we had limited time for trying to slide the Spyders through puddles on the sly while the instructors weren’t looking. 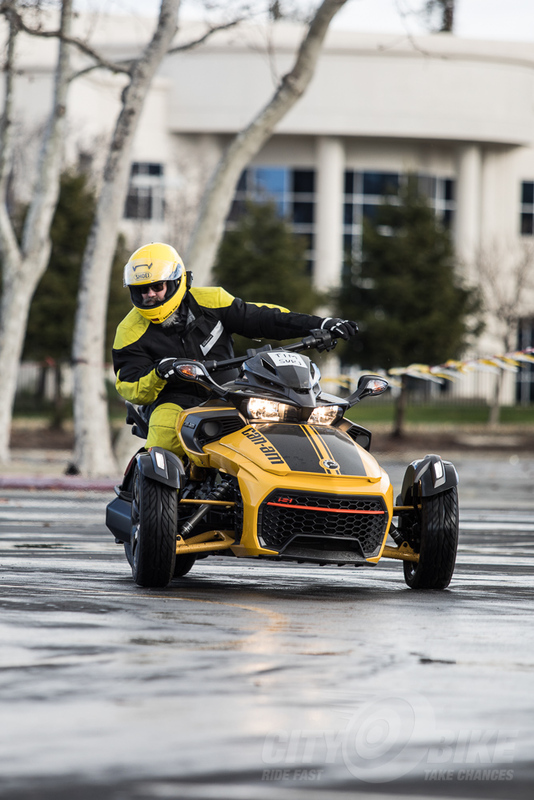 3WST has six Can-Am Spyders available for these classes, through a partnership with Can-Am. 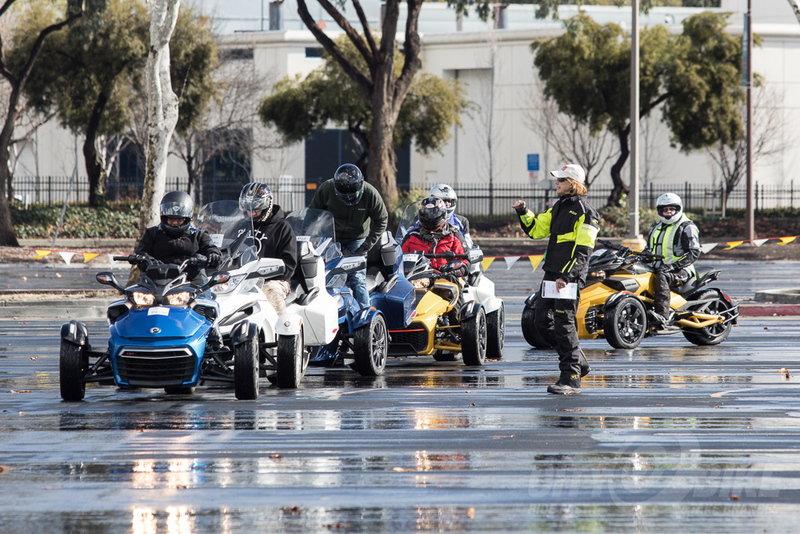 Most of the “bikes” (?) 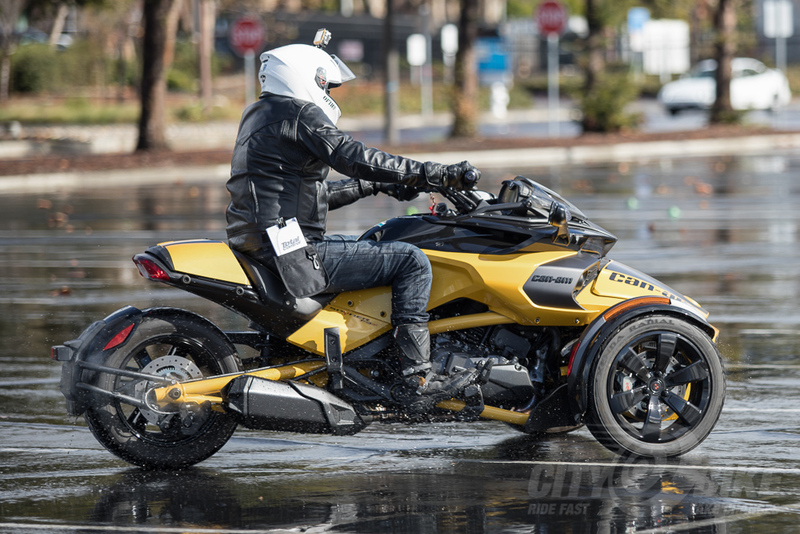 were the sporty F3 version, but there were also a couple RT touring versions, big machines that looked to my eyes like a Gold Wing rear-ended a Dodge Prowler and was unable to extract itself. 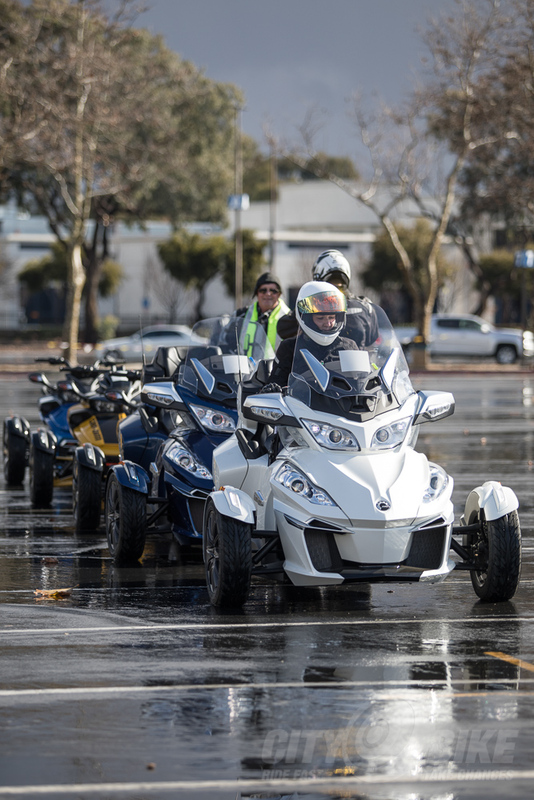 The partnership is part education, part marketing: in other parts of the country a motorcycle license is required to ride a Spyder, and certain states, like Maryland, require a three-wheel specific license if you don’t have a motorcycle license. Here in California, where personal freedom supposedly went the way of the dodo (not the Dorsoduro) long ago, you just need a car license. 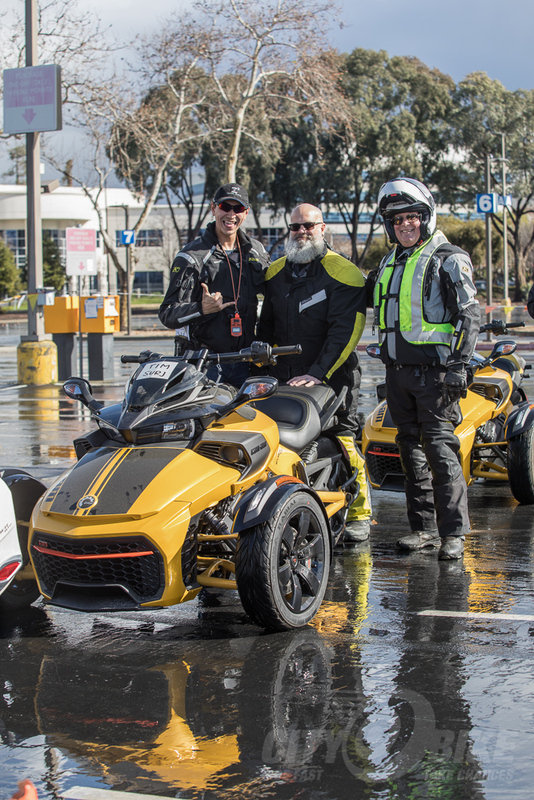 Anyway, Can-Am realized that structured, experiential training at low cost would likely help Spyder sales, and created their rider education program to accomplish that. 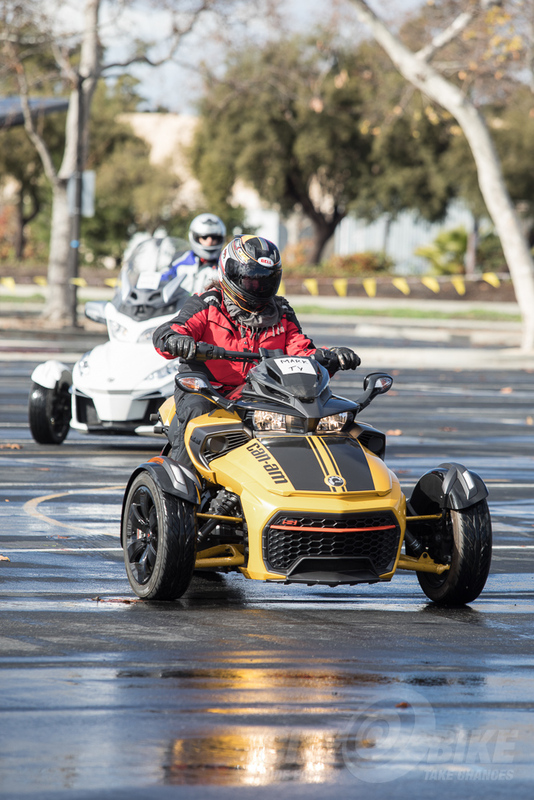 2WST’s new 3WST program is part of that effort, and costs just $75 because of Can-Am’s involvement (although if you bring your own non-Can-Am rig, a sidecar for example, you have to pay the full $290 price). Back to the range. 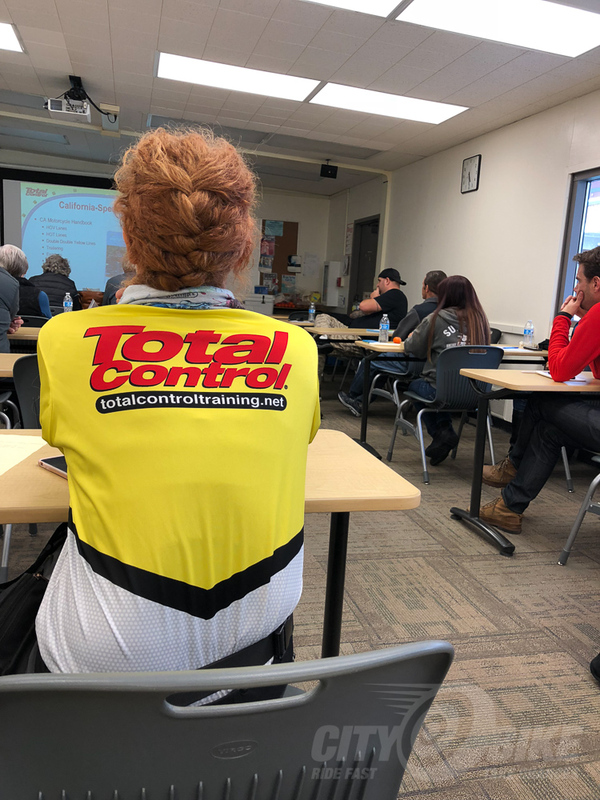 The course includes some basics that will be familiar to anyone who’s taken a new rider course: controls, concepts, and so on. 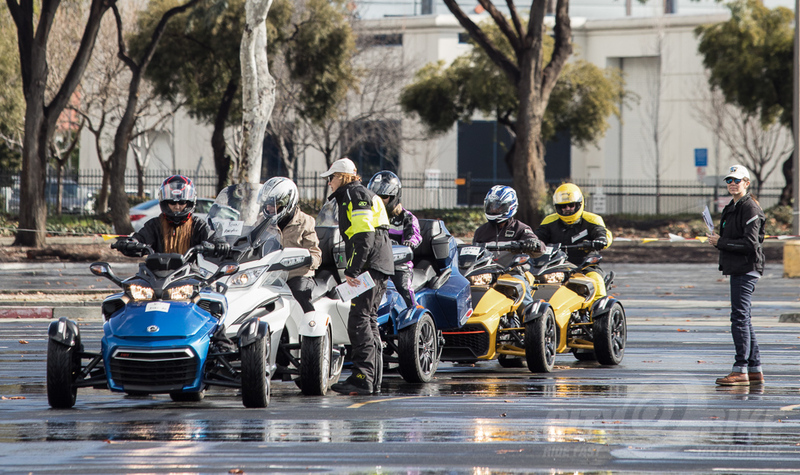 The Spyders don’t have clutches, so it was pretty straightforward and once we were familiar with the bikes, we got right to the exercises: starting, accelerating, braking, turning, turning faster and so on, eventually culminating in a freeform drill that mimicked traffic and intersections. 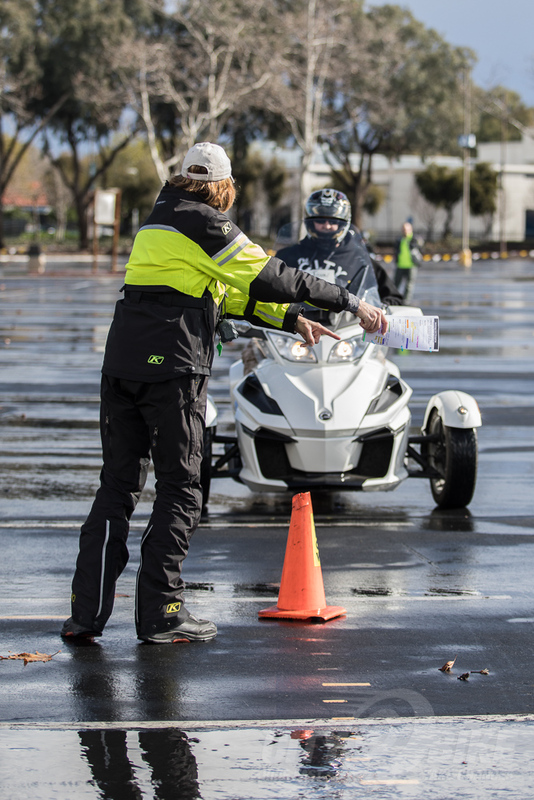 Even these exercises felt a lot like a typical new rider course—not necessarily a bad thing. 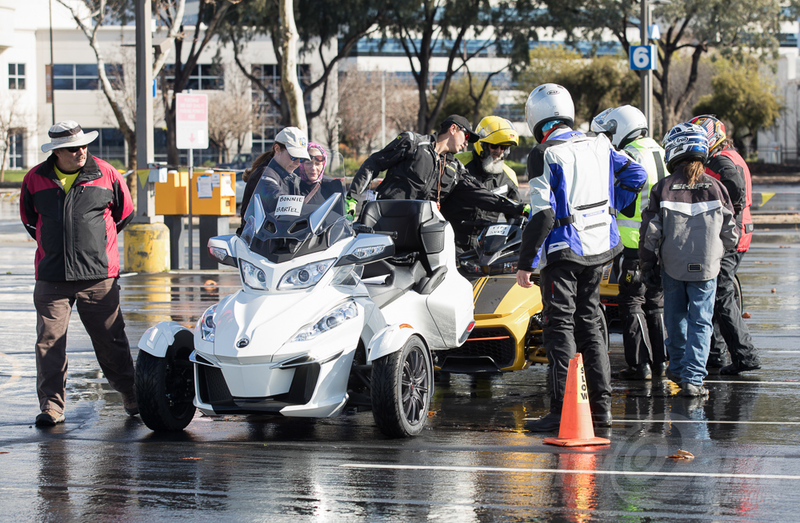 It was enjoyable, and I’m a fan of any rider (or driver) education that employs structured learning and feedback for rapid improvement. 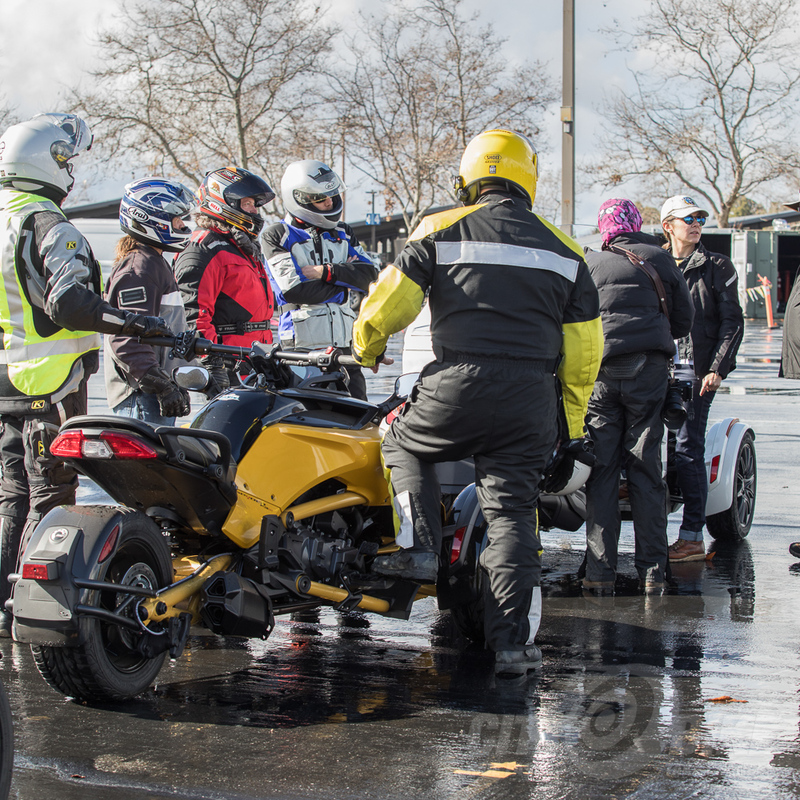 A couple weeks after the course, I caught up with 2/3WST instructors James and Adrienne at The One Moto Show in Portland, and they told me about planned updates to the course. 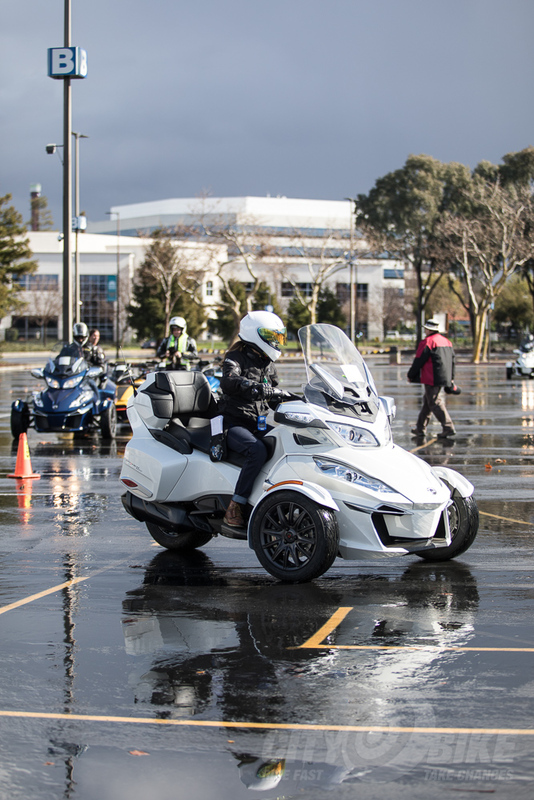 First, the classroom time will be shortened and will focus on the Spyders, with emphasis on covering the basics and getting right to riding. Range time will be improved as a result, and class size will be limited to six so there’s no bike-swapping required. 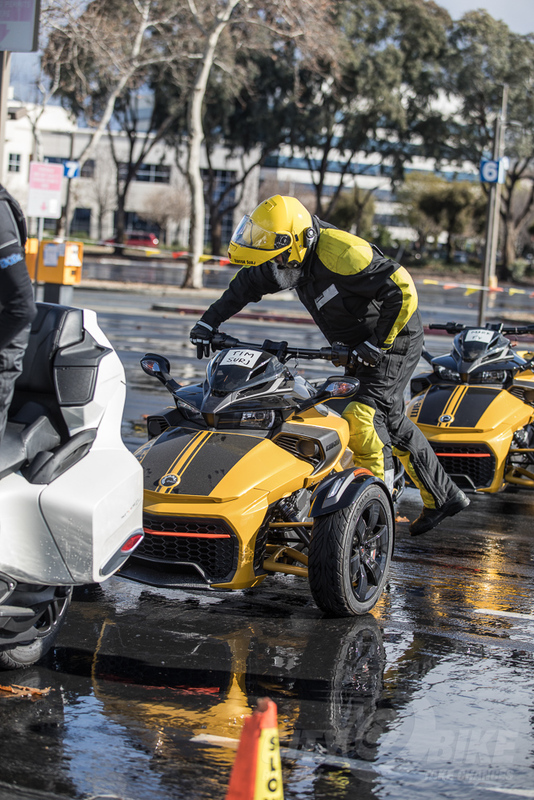 The range exercises have also been reworked to focus more on the capabilities of the Spyder, meaning not so basic. 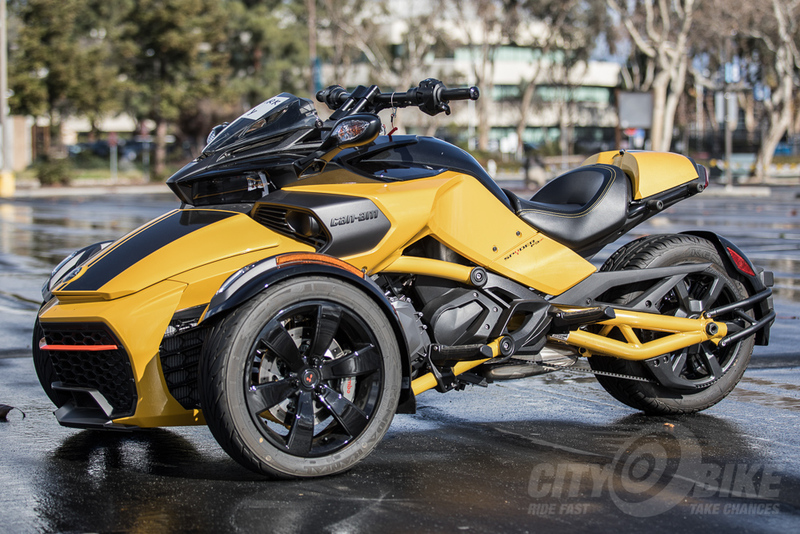 This isn’t a review of the Spyder (obviously), but the VCS (vehicle stability system) traction management technology on these machines is so advanced it seems magical… and strange. 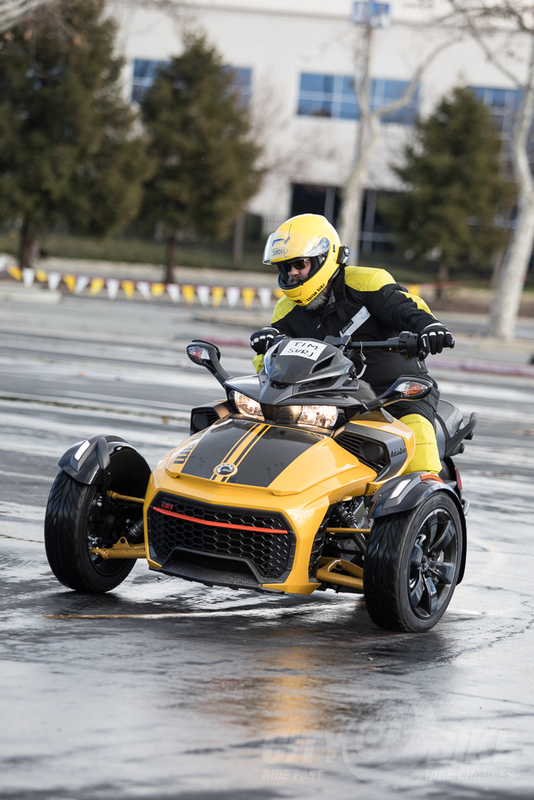 Given the updates to the class, if you have $75 and a day to kill and you’re interested in Can-Am’s Spyders, the 3WST course is a good way to get started.